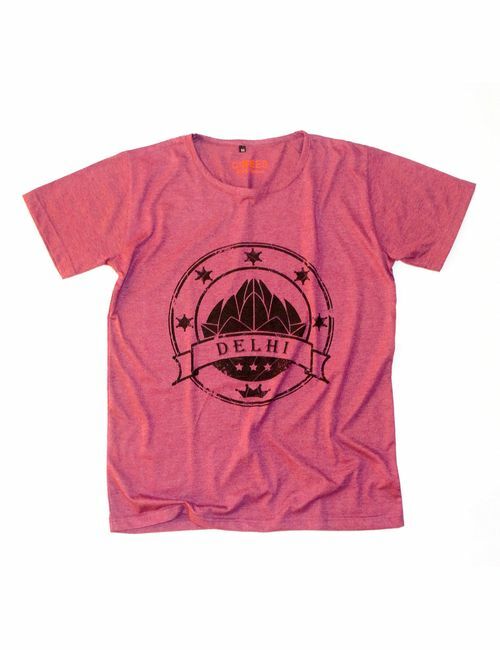 Our Lotus Temple Delhi T-shirt with a print of the iconic monument of Delhi. We make T-shirts for cities, and having a beautiful monument present in Delhi in our T-shirt was something we couldn't do without. Wear it, because wearing international monuments is cool, but wearing one of your own is cooler.